Such a complicated design! Overlapping black and white cows walking to the milking parlour. 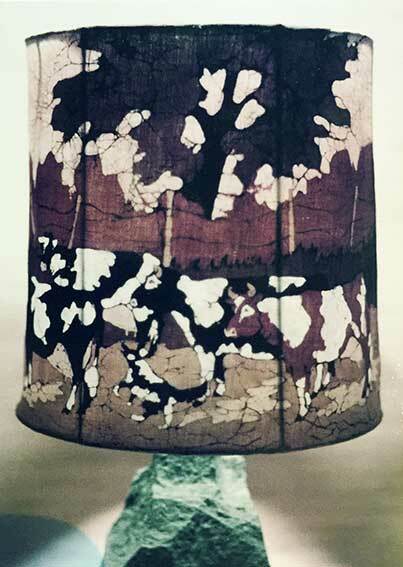 The cows themselves are created just with the white shapes which are waxed first, and then the rest of the cow shapes are made by waxing the surrounding background. In Batik, the black dye is the very last colour to be put on and can only go on the areas with no wax, so the black markings are the bits left at the end. When doing the drawing, each cow's markings must be so arranged that your eye can distinguish one cow from another when they are walking in front of each other. The pale ground colour must be waxed early on carefully in and out of all the legs. 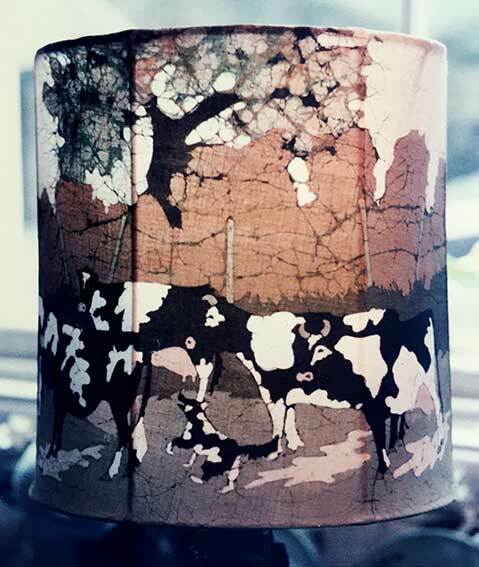 It's so easy to look at the finished work and find a cow with only three legs! 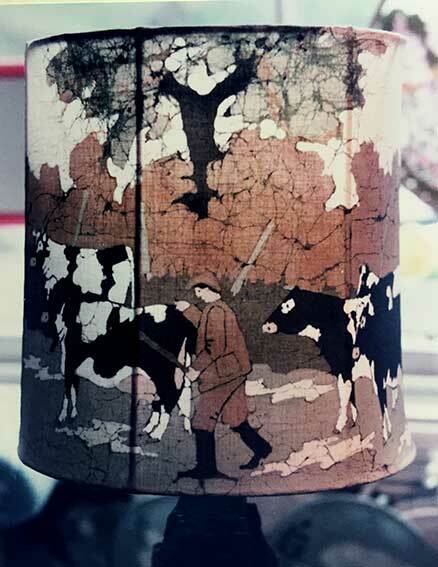 This lampshade was made to display on my first trade stand at Harrogate 1985.